Are your applications being leveraged to win more Page1 Rankings, or are they working against your other SEO efforts? You may know all about keywords and how targeting search engines with the right terms can bring more visitors to your website, but did you realize that how your content is managed is just as important as what that content says? Whether your business provides a service to customers in your local area or sells products around the internet via eCommerce, you need a company that understands your CMS needs and knows how to effectively merge functionality with content that gets you page 1 results. Wouldn’t it be great if customers looking for a specific product could go directly from the search results to the appropriate page on your website? You might think this is a standard feature among all eCommerce content management systems, but it’s not. In fact, most of the eCommerce CMS solutions out there are designed only with internal usability in mind. In essence, they use numbers and coding that make it easy for you and your staff to find and catalog products, but this approach doesn’t speak to the search engines at all. The result is that you end up being indexed for your company name and the general types of products you sell, but when customers look for specific items, the search engines don’t even know you’re there. We combine full-featured, intuitive content management with effective, compelling product descriptions to offer eCommerce services that get you indexed for every product you sell. While we maintain and update many of our clients’ web sites, we understand that the ability to make tweaks and changes is attractive if you prefer to be more hands-on. A content management system lets you do this even if you don’t have in-house web development staff. You can make changes to your web site even if you have no web design or technical skills. All you need is access to an Internet connection. You make changes through a simple interface in the browser window, so you can update your web site from anywhere you go! While CMS technology is far superior to previous methods of building websites, the result isn’t always focused toward customer usability or search engine functionality. 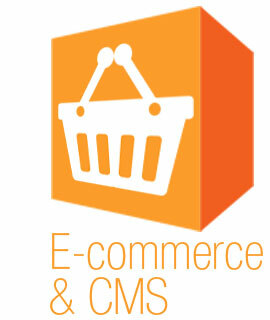 Our eCommerce and content management services are. If you provide a service, we’ll make sure you can easily post blog entries, media mentions and any other information that promotes your brand. If you sell products, we make updating your online inventory both simple and effective by providing exceptional usability for you, your customers and search engines. Our on-the-go updating works even for users who aren’t technically savvy – something you won’t find in many other content management systems. Request a Free Analysis of your Page1 Competitors. Find out what you need to out rank them!